The 'Hold Back the River' hitmaker insists he has always had a "soulful non-rock side" and was excited about taking a diverse range of influences and fusing them together for his upcoming second LP. He said: "Chance the Rapper's 'Coloring Book' and Frank Ocean's 'Channel Orange' were really big influences this time around. "I went on holiday to the Caribbean and must have placed 'Channel Orange' 15,000 times. "I know that probably makes me sound like some organic guitar dude who is now deep into hip-hop but I've always had a soulful, non-rock side. "The interesting thing to me was having those two in my left hand, and David Bowie and LCD Soundsystem in my right and smashing them together." The 27-year-old singer has chopped his long hair and ditched his trademark fedora for his second album campaign and knew all along he wanted to do something "unexpected" and become a "different person". He said: "Round two has been about thinking outside the box and doing something unexpected. "As a competitive person, I set myself that challenge. I was more than ready to cut my hair off and put my hat on the stand and walk out a completely different person this time. "Of course, telling your team that this is how you want to play it takes courage. "But I'm confident. The opposite of doing that is being boring. So it was a no-brainer - go courage." 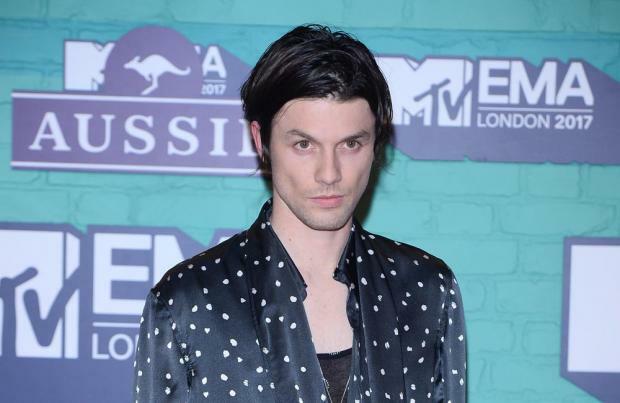 But James admitted he was left with a "void" once he'd finished touring and promoting his debut LP, 'Chaos and the Calm', around the world in December 2016. He told Q magazine: "Touring was over. The bubble had burst. "When you've dispersed from the tight-knit family you've created on the road, you lose your sense of purpose for a minute. I was standing in front of this void."